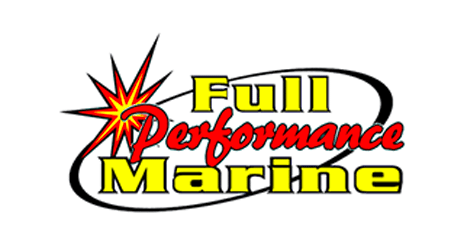 Full Performance Marine was established in early January 2002. We purchased 6 acres of prime real estate in the best location on Rt 26. Close and Easy access to all the major boat launches. And we are only minutes from Raystown Lake in James Creek, PA in Huntingdon County. We’re just a short drive from Harrisburg and State College, PA, as well as Hagerstown, MD and West Virginia. Our next decision was to take on the very best line up of boats. We wanted to make sure that we had that perfect boat to suit the customers’ needs. Boat sales are critical to the success of any boat dealership. To be successful, the addition of a quality line of new boats was considered essential. The choice to pursue the purchase of the Regal line of boats was an easy one. Regal has been the only manufacturer to repeat in multiple consumer satisfaction segments: Highest in Customer Satisfaction with Express Cruisers and Small Runabouts. Regal has received the JD Power Awards for 5 Years in a row. Regal builds high-quality boats that satisfy owners unconditionally. We also added the Godfrey Marine line of Pontoons and Deck boats including San Pan, Aqua Patio pontoons, Hurricane deckboats, Sweetwater pontoons, and Parti Kraft pontoons. Godfrey Marine is a recipient of the CSI Award for excellence in customer satisfaction and also named Boating Industry’s best selling Pontoons and Deck Boats. With this great line up of boats and an increased customer base, Full Performance Marine needed to expand. After only 2 short years we purchased more property, added a brand new 10,000 square ft. indoor showroom and additional storage facilities.